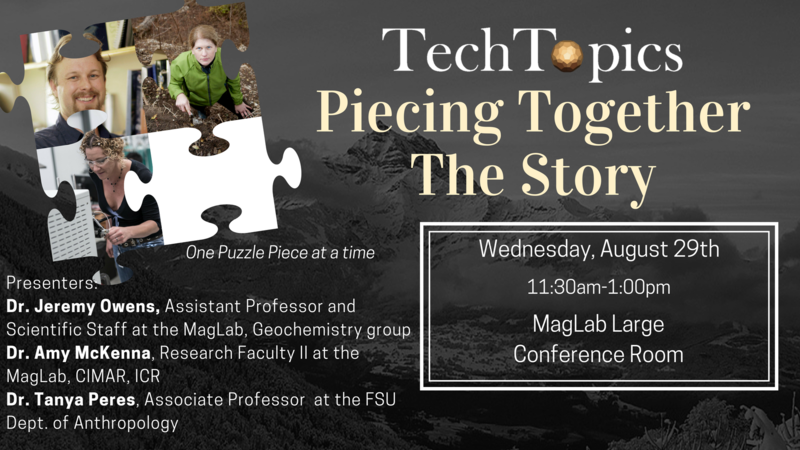 Please join us for our next TechTopics event taking place on Wednesday, August 29th from 11:30am-1:00pm in the MagLab Conference Room. During this event, we will explore how some researchers are helping to answer questions about Earth’s history and its inhabitants. During this event, we will discuss how different elements can help us understand what Earth was like at different time periods, and even predict patterns and climatic changes in the future. We’ll discuss the evolution of the ocean, and also about Native American traditions that span more than 3 millennia. Click here to learn more and to sign up to attend. The deadline to register is Monday, August 27th. The First Innovation Hunt is Happening on Saturday, September 29th! Innovation Park is hosting its first ever Innovation Hunt! This challenging but fun scavenger hunt will take place in the Park with teams of 2-4 people. 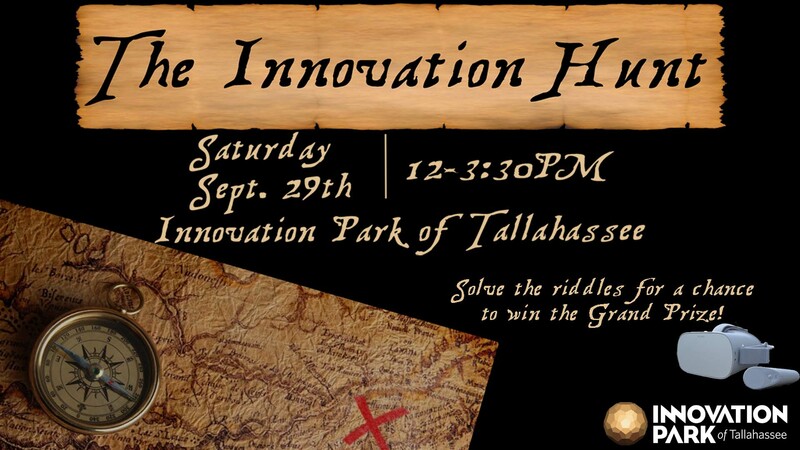 The hunt will send teams on an exciting quest to solve riddles, with all the answers being found within Innovation Park of Tallahassee. If you think you know your way around Innovation Park, come out and prove it…or if you don’t, then come learn! Teams will post their answers via Instagram, and if they answer enough correctly, they’ll be entered to win the grand prize of two Oculus Go VR headsets and other prizes! Registration is open now and costs only $20 per team! Three of Innovation Park’s 2018 TechGrant Finalists have been chosen as Sweet 16 Finalists for the Cade Museum Prize, an annual competition for early stage inventors and entrepreneurs in Florida. Nhu Energy, DiaTech Diabetic Technologies LLC, and NeuroJungle, LLC will all compete for a chance to win $25,000. The Cade Prize competition’s goal is to provide seed capital, in addition to publicity for great ideas with market potential. The top four entries will be awarded with some amount of cash. From the entire state of Florida, Tallahassee had the second most companies in the Sweet 16, which shows the quality of innovative companies coming from our community. Innovation Park residents are helping to mold young minds! National Park Service archaeologists and museum technicians from the Southeast Archeological Center spent a day teaching young girls about archeology at the MagLab. 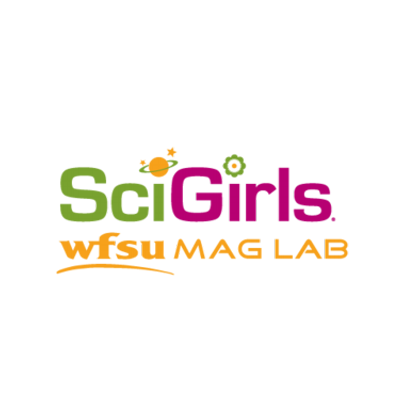 This was part of SciGirls, a summer camp for girls entering 6-9th grade, which inspires them to pursue STEM careers. Registration is open for the Entrepreneurial Excellence Program Class 15! This upcoming class will begin on Tuesday, October 2nd, and will be the first one taught by Innovation Park’s Director of Entrepreneurship, Michael Tentnowski. Michael brings over 25 years of experience in helping companies develop and grow their business. During this time, he has helped more than 1,000 companies; ranging from ostrich farms to nuclear delivery system integrators, grow into successful enterprises. In addition to helping other companies, he is a three-time entrepreneur himself and co-author of the book, “The Virginia Entrepreneur’s Guide.” He has also been a featured speaker and recurrent presenter to business and industry executives at various conferences. The course fee is $300 for two people per company. Innovation Park is offering $100 off for teams that sign up early. Fee includes dinner at each class, all course materials, and access to the Entrepreneur’s Club @ Innovation Park. The Seminole Golf Course and its restaurant, the Renegade Grill are currently closed for renovations. They plan to reopen in September 2019. 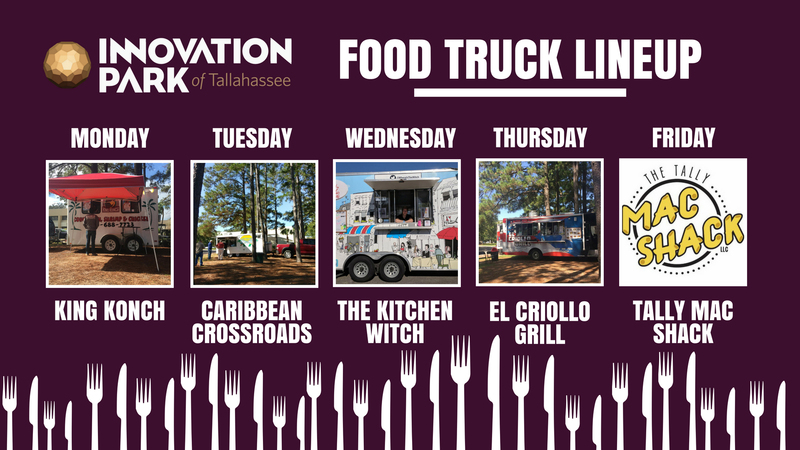 In the meantime, food trucks will continue serving lunch in the park from 11am-2pm Monday-Friday in front of Shaw. Check out our lineup!